I hear this guy walks on fire. Is that true? Yes it is true. Vincent j is the founder and lead trainer of Quantum Success Group, and the creator of the QSG Firewalk Experience. In his role as lead trainer and head coach, he assists both CEO entrepreneurs and business leaders increase their income, their influence and their impact through one-on-one and group coaching, leadership masterminds, and experiential training. 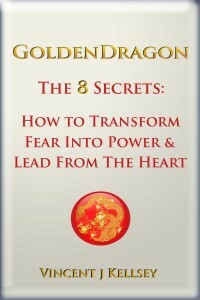 Trained by one of the first executive coaching schools in North America and mentored by a multi–millionaire success trainer, Vincent j is known as “The Transformer”, and his work takes him around the world, from the USA and Canada to Southeast Asia and beyond, helping CEO’s, leaders and entrepreneurs transform fear into power and action into results. These programs are 1 day to 3 day trainings for both emerging and established business leaders and entrepreneurs. Designed for public, corporate and private industry, they are not simply just fun, exciting, and transformational, but also lead to the bottom line for any small business owner, entrepreneur, or fortune 500 corporation – results. If you are in business, you need a coach. Vincent j specializes in helping entrepreneurs who are leaders in sales, multi-level marketing , information and online marketing, even CEO’s and Executives in the corporate world, increase their income, their influence and their impact through one-on-one coaching and leadership mastermind groups. Statistically, those in the top 1% of income earners have one thing in common: They ALL have a coach. Musician, motorcycle rider, world traveler, speaker, trainer, coach. Vincent j was born an adventurer, with an insatiable curiosity about life and the world, and a deep desire for the freedom to live life on his own terms. As soon as he was able to do so, he left the home he had always known and set out on an EPIC around the world adventure that lasted 10 years, took him to over 32 countries and a dozen different jobs, before bringing him to his true passion and purpose as a trainer and coach in the field of personal growth and development. He has deeply explored the spiritual practices of many cultures, practicing yoga, meditation, tantra, kung-fu, firewalking, and other similar disciplines. He has been a student of health and wellness, spirituality, and success, and has been blessed with many wise teachers from both the east and the west, as well as being personally mentored by one of today’s top wealth gurus, success trainers, and multi-multi-millionaires. Vincent j was hand selected by one of North Americas first certified Elite Executive Coaches as the natural successor to his Executive and Leadership Coaching Empire. This coach was also the business and leadership coach of the very same wealth and success trainer mentioned above, and worked with him as he grew his company from a SME into a multi-million dollar international business in just a few short years. 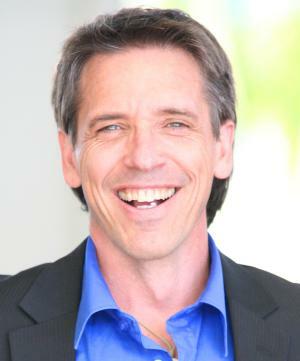 In both his programs and in his coaching, including the world famous QSG Firewalk Experience, Vincent calls upon his 20+ years of training from the shamanic to the business world, and blends them into the best of both, something he calls “Ancient Secrets for 21st Century Success.” This blending of old and new, of east and west, led to the development of new tools for success which Vincent j teaches to both his seminar attendees and coaching clients, tools such as The Leadership Compass™ and The Adventurer’s Compass ™ the most powerful tools for identifying obstacles to your business growth and transforming them into building blocks to your success. Vincent’s mission is to aid those who are called to the adventure of both entrepreneurship and leadership and those already in leadership but sensing the change the world is undergoing to become what he calls the “alchemists of the 21st Century”, helping transform the “lead” of fear and greed that epitomized the 20th century into the “gold “of leadership from the heart and global co-operation that is the key to a sustainable future for not just business but the earth as a whole. We cannot keep doing “business as usual” and not expect things to change, and change radically. Join the leaders,business people and entrepreneurs around the world who are stepping into the golden circle of Transformational Leadership Mastery, creating the massive impact, massive influence and massive income that comes as a result of serving others at the highest level possible, and finding answers to the problems and challenges facing us today. Leadership is about being a guide for others, and learning to allow yourself to be supported in that role by a team . As you learn to light your own flame of leadership and let it burn as brightly as possible, you become the spark that lights the fire of passion and purpose in others. It is one of the great truths that as you help others get what they want, you end up getting what you want. The more people you serve, the richer you become. The truest defintion of a leader is someone who inspires others to become more of who they truly are. In the words of Mohandas Gandhi, one of the greatest leaders of the 20th century, be the change you want to see in the world! So the truest definition of a transformational leader is someone who guides others to serve others by living as an example of service. Servant leadership has become Transformational Leadership. The world today needs leaders who can lead from the heart and assist in the transformation of others – leaders who have made their business or company highly profitable by following the mandate of a triple bottom line that serves the greater good: people, planet and profit –and can teach others how to do the same. The world today needs you.